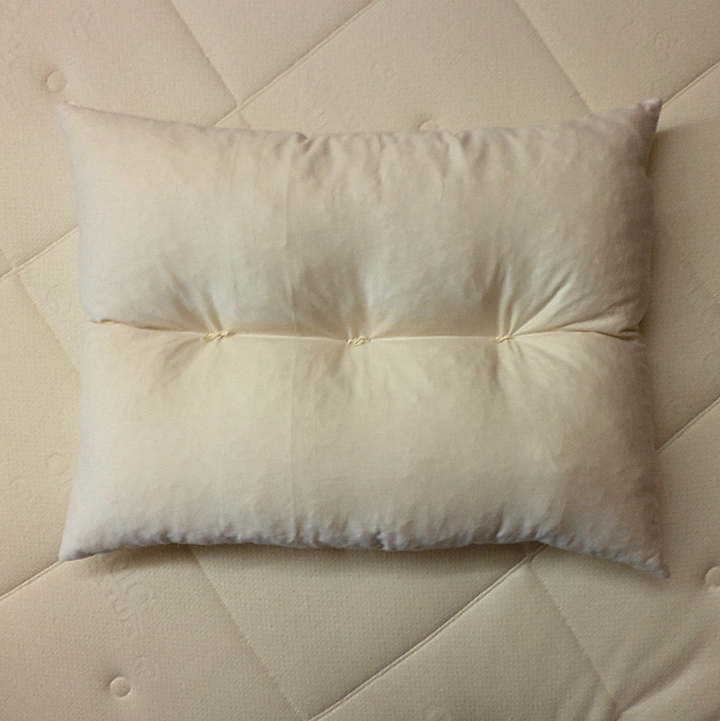 A pillow is like a friend… it can bring great comfort or be a pain in the neck. Sometimes folks don’t realize the importance of choosing the correct pillow for proper support – the wrong one can provide discomfort throughout the night. For instance, if you sleep on your side with a very flat pillow, you’ll most likely wake up with cramps in your neck and shoulder. The same is true for back sleepers that use a very thick high-loft pillow which can crane the head too high. And just like friends… it’s important to know your pillow inside and out. What’s inside your pillow anyway? Did you know the weight of an average one-year old pillow contains about 20% dust-mite matter? Feather and down provide very happy breeding grounds for these little critters. Dust mites thrive in moist, warm environments – it’s crucial to their survival – so you want to keep room humidity down and select fibers that naturally wick away moisture. The objective is to keep your bedding as dry as possible, and wash bed linens weekly, which helps deter these nasty guys from sleeping with you every night. Many synthetic pillows can be washed regularly, however since most are derived from petroleum, some folks get a hot head sleeping on them because they retain moisture and heat. Petroleum is a non-renewable resource, therefore petro-synthetic materials are not an eco-friendly choice either – and of course, they’re blended with a host of other undisclosed chemicals. Pillows, such as those made by CozyPure®, are made from organic and ecosmart materials that are NOT treated with harmful toxic chemicals so they’re a healthier sleep option – especially for folks that suffer from headaches and sinus congestion. You’ve got your nose buried in that pillow every night and it doesn’t take a rocket scientist to know that a chemically-treated pillow is befriending you like the Toxic Avenger. Pure wool and natural latex (from the rubber tree) are porous and breathable. They help keep your bedding dry to provide better sleep comfort while also deterring dust mites. Be sure the outside fabric, also known as the shell, is made from 100% cotton (preferably organic cotton). I once tested a pillow made from latex with a synthetic cover and woke up in the middle of the night with a drenched head. I remember finally throwing the pillow across the room, where it hit the wall with a loud thud. Like a good friend, choosing a pillow that offers comfort, support and longevity is just as important as the physical well-being they provide. You would be smart to get rid of that so-called “friend” who is a real pain in the neck and gives you countless headaches…. isn’t the same true for your pillow? Cheryl Hahn is the President and Founder of Organic Comfort Zone, manufacturers of CozyPure® organic mattresses and bedding.